Talent. You have it or you don’t… Right? Isn’t talent the reason Bobby Fischer was a grand master chess player at 19? Isn’t talent why Bill Gates was a boy genius and is now the world’s richest man, or why Tiger Woods was a child golf prodigy? Is talent why some people seem to be natural born successes and others struggle up and down the steep slopes of the Pareto Principle their entire life, never breaking into the top 20% of their chosen field? 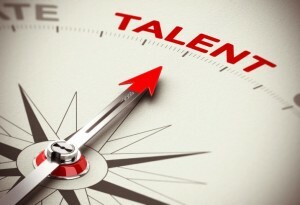 In Talent is Overrated, author Geoff Colvin argues otherwise. Colvin one-by-one picks off the saints of talent from Mozart to Warren Buffet. The stories he tells are fascinatingly consistent: Bill Gates showed no particular traits of genius as a child, but he was tenacious and worked incessantly with older students at what he loved most – computers. Tiger Woods’s father was a very good golfer who began training his son at the age of two. By age 19, Tiger had been in training for 17 years. Bobby Fischer became a grand master at 16 – after studying chess intensely for nine years. It seems the only talent that really matters is one for relentless practice. That’s really good news for most of us. Colvin says that talent is largely a myth, at least as an indicator of brilliant success. The crucial factor isn’t intelligence, it isn’t inherent talent, it isn’t experience. One factor, and one only, determines success: how intensely one practices one’s chosen art. Colvin even identifies what he calls a Ten Year Rule – the period of time most people at the top of their field spend in the service of study and practice before achieving greatness. Most people give up long before ten years. The type of practice necessary Colvin calls “deliberate practice” – the type that isn’t always fun and is highly demanding. It almost always involves mentors and coaches who can provide feedback and hone technique, preventing bad habits and mistakes from becoming ingrained. It’s pretty easy to see where this is going, isn’t it? Want to find yourself in the ranks of the top 20% of all travel consultants? Make a study of your art. Practice and learn from mistakes. Enlist the assistance of your peers, coaches, and mentors to provide feedback, hold you accountable, and illuminate best practices. Concerned about not having the talent you need to succeed? I wouldn’t worry. I’m convinced Geoff Colvin is right. Talent is overrated. I have that on some pretty good authority.